Sri Chinmoy (August 27, 1931—October 11, 2007) was the founder of the global Sri Chinmoy Centre. The staff at The Blue Bird vegetarian café are all members of the Auckland Sri Chinmoy Centre and the café is inspired by and dedicated to Sri Chinmoy's message of world peace and oneness. The following is a brief overview of Sri Chinmoy's inspirational life and multifarious activities. 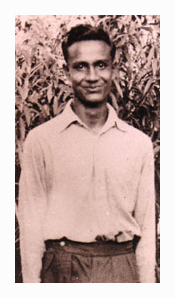 The youngest of seven children, Sri Chinmoy was born in the Indian province of Bengal in 1931. His parents, Shashi Kumar and Yogamaya Ghose, were devout Hindus who encouraged their children toward a life of spirituality, prayer and meditation. Both of his parents had passed away by the time Sri Chinmoy was 11 years old and the family moved to the Sri Aurobindo spiritual community in southern India. There Sri Chinmoy spent many hours of each day practising meditation and also fulfilling the outer obligations expected of community members. He held a variety of jobs and eventually become assistant to Sri Aurobindo's secretary – the Bengali savant, Nolini Kanta Gupta. The Blue Bird and the many other vegetarian cafés and restaurants around the world offer food that is prepared and served in a conscious, joyful and meditative environment, in this way inspiring their patrons with nourishment for the body, heart and soul. Members of the Sri Chinmoy Centre also offer running races, art exhibitions and music concerts along with public participation events like the The Sri Chinmoy Oneness-Home Peace Run (aka World Harmony Run) and humanitarian aid efforts. Age barely slowed Sri Chinmoy and he remained, until his last moments, a dynamo of activity. 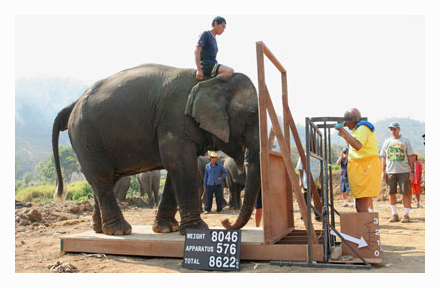 He travelled extensively each year offering free concerts and meditations, meeting with people from all walks of life to offer inspiration and encouragement. Unable to run as he did for many years, Sri Chinmoy took up lifting heavy weights in the later part of his life, both to stay fit and also to demonstrate the power of spirit. He created a programme called Lifting up the World with a Oneness-Heart whereby he honoured men and women of inspiration and dedication during his global travels. Sri Chinmoy met many New Zealanders from all walks of life during his four trips to this country. Many of them he lifted and these included the late David Lange (then New Zealand Prime Minister), mountaineer Lydia Bradey, rugby icon Colin Meads, champion weightlifter Precious McKenzie and running legends Jack Foster, Rod Dixon, John Walker and Sandy Barwick – to name but a few. Sri Chinmoy's weightlifting achievements were his unique way of honouring, encouraging and inspiring humanity. "I feel that the physical and the spiritual must go together; they cannot be separated. When we pray and meditate, we get an extra supply of energy, which you can call strength. This strength can be utilised for a good purpose. If I can inspire anybody in this world, then I feel that my life is meaningful. With my weightlifting, I am offering my physical strength to inspire people." 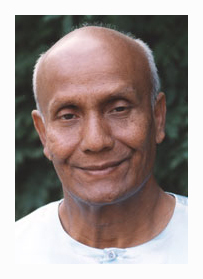 On October the 11th, 2007, Sri Chinmoy passed away at his home in Queens, New York, at the age of 76. He has left in his wake an enormous legacy of writings, art, music and physical accomplishments that will be of inspiration for future generations and an organisation of meditation centres that will be continued by his students all over the world. His was a life of selfless dedication to the highest ideals – a life that touched and inspired the lives of millions from all walks of life and all aspects of the world community. For more on Sri Chinmoy's passing and the outpouring of tributes from all over the world, please visit Tributes to Sri Chinmoy where you will find moving tributes to Sri Chinmoy from President Mikhail Gorbachev, Nelson Mandela, and Desmond Tutu and many others including selected media articles. The Sri Chinmoy Centre web site is also hosting a page of Tributes to Sri Chinmoy. People wishing to offer a tribute to Sri Chinmoy may do so here: Tributes to Sri Chinmoy – please feel free to contribute. 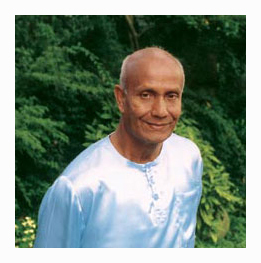 Links to web sites regarding Sri Chinmoy's inspirational life and activities. 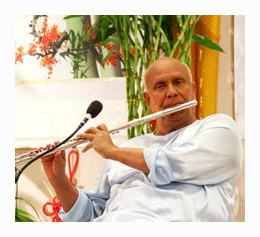 Sri Chinmoy – Sri Chinmoy's homepage. Life of Sri Chinmoy – auto-biographical stories spanning Sri Chinmoy's life from childhood to his years in the West. Sri Chinmoy Library – Sri Chinmoy's talks, writings and poetry online. Sri Chinmoy Poetry – selections of Sri Chinmoy's poetry in themes. Sri Chinmoy Songs – a searchable database of Sri Chinmoy's songs and music. Sri Chinmoy Music – the Height of Silence and the Might of Sound. Sri Chinmoy Art – Jharna Kala: the unique fountain-art of Sri Chinmoy. Radio Sri Chinmoy – audio recordings by Sri Chinmoy and members of the Sri Chinmoy Centre. Sri Chinmoy TV – video recordings by Sri Chinmoy and members of the Sri Chinmoy Centre. Sri Chinmoy Reflections – reflections on Sri Chinmoy's inspirational life and activities. Challenging Impossibility – a documentary film which chronicles Sri Chinmoy's weightlifting odyssey – a journey from inner peace to outer strength.